This is a rectangular Hereford Cattle porcelain sign. 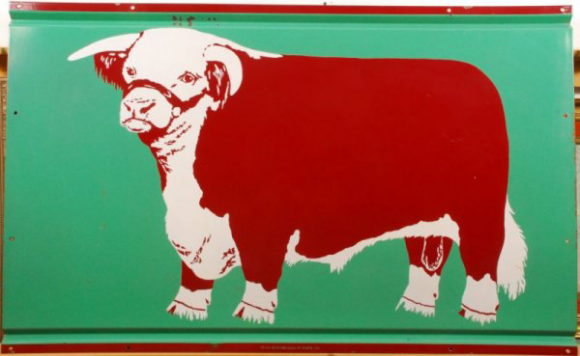 This particular Hereford Cattle sign features a red Hereford bull against a green background. It has no text.